WHAT IF you felt more confident and comfortable in your skin with each passing day? What’s special about my world is you! Welcome! I’m Elicia, and I created this page for several reasons! To introduce my favorite skincare products that have completely transformed my skin (and my life! )…so much so that I enrolled as a Rodan + Fields Skincare Consultant to share the products and what I’ve learned with the world! I partnered with the doctors who created Proactiv and I enjoy now sharing incredible skincare with men and women as the CEO of a global e-commerce skincare company since December, 2016! Whether you have questions about skincare or a wish to be your own boss on an incredible team, I’d love to hear from you at elician@gmail.com! 2) I’m a busy Psychologist passionate about self-development. I’ve changed more since becoming a business owner than I ever thought possible (or needed). I wanted a place to share free resources with others who support me, clients, friends, and business partners! Regardless of how/why you found yourself here, thank you and welcome! Thank you for taking a few minutes out of your day to learn more about me/what I do! If you have any interest in products/business, I would be privileged to hear from you and happy to answer questions, place an order for you, or train you to become a success on our Team (see www.4anewyou.myrandf.biz to learn about our products/business options). Since this page is not meant to be clinical/offer advice, I do ask that you direct questions around any mental health matters to your personal provider. It takes courage to ask for help! Who’s my target audience in business? ANYONE WITH SKIN or anyone looking for a financial/business opportunity that involves empowering others and helping to change lives! I meant it when I said my skincare business has changed my life! It is definitely NOT just about skincare! FREE QUIZ: Have you ever considered how intimately your skin is related to your confidence? Self-esteem? Communication? Relationships? It really is! Take a free 60-second QUIZ to see what products could change your skin (and life)! Scroll to “Start Consultation.” Submit your e-mail for results, and review products details under Shop Skincare! By doing so you’ll also see how this business is for anyone! Great leadership training, success tools, customer service, and products! Please see my corporate webpage for details on products, promotions, and consultant enrollment options: www.4anewyou.myrandf.biz! Why am I so passionate about this business? Well, let’s get this out of the way. It did NOT start with a passion for skincare, or quite frankly any knowledge of it. I was (and still am) very busy! I had no knowledge/interest in skincare; heck, I was lucky to wash my face regularly (I know, shameful). I had no interest or background in sales. What I didn’t know then was that something was missing, and I didn’t know what until I took a chance on me. I took a chance to figure out why I was so immediately resistant! 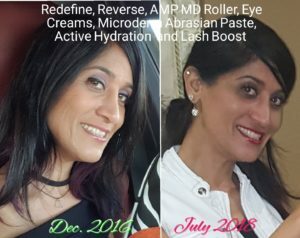 Firstly, these products have changed my skin over the past 2+ years, enhancing my confidence and skin health that I didn’t have before (see my personal results photo above :). Additionally, I’m passionate about Psychology, and this business option has not only afforded me deeper discounts on products but more importantly a remarkable opportunity to change my life and that of others! Whether improved financial livelihood, lifestyle, or personal development, this business has helped me change lives! In short, I’m just all-around happier!! Where would I be had I not found these products/business? Way more wrinkled and spotty from sun damage (seriously, I was looking older than my mom thanks to the Az sun) and living small in my comfort zone! Forget the comfort zone! Nothing good happens there! What’s different about my face? 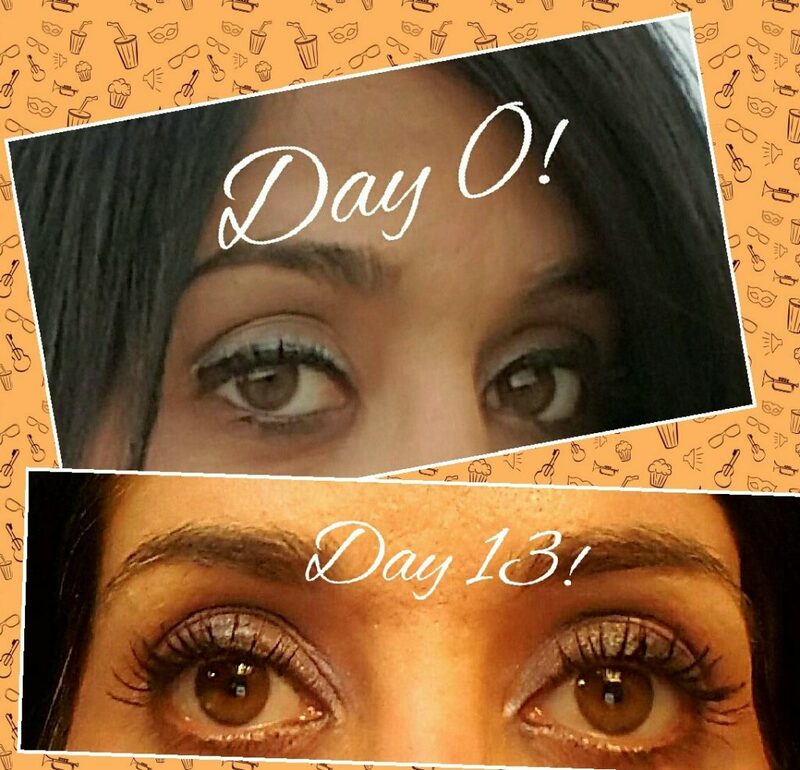 Well, let’s start with the fabulous, naturally longer, fuller, darker-looking eyelashes! I get asked ALL THE TIME if they’re extensions…nope, they’re all mine, thanks to the fabulous serum I use that takes seconds to apply at nights before bed (also works on eyebrows)! Now, look under my eyes in the large photo on the home screen. In the before-photo on the left, notice the puffiness, the wrinkles? I have make-up caked on, and you can still see the wrinkles around my eyes and in my cheeks. Compare this to the 6-month after-photo, and notice how much healthier my skin looks? See the glow? I have almost NO make-up in this photo other than eye make-up, lipstick, and blush. The wrinkles are thanks to our anti-wrinkle and sun damage line, needle roller that stimulates collagen growth, exfoliation, eye cream, and hydration. Not to mention, the lashes! The smaller photo below is a before/after with a 4-year difference. Again, you see how much healthier my skin looks after 2 years on the anti-aging products I use! Is skincare makeup? Is it just for ladies? Glad you asked! No! In fact, great skincare can help reduce the need for make-up over time, restoring our skin to its healthiest state! Also a great way for men to take better care of their skin and offset damage by the sun! I represent 4 skincare lines for all ethnicities, skin types, genders, etc. Our lines are multi-med therapies that deliver the right formulation and right ingredients in the right order for dermatologist-inspired, clinically-proven results! We have lines for 1) anti-wrinkle/firmness, 2) reversing sun damage/discoloration, 3) acne, and 4) sensitive skin, each accompanied by a sunscreen to minimize recurring damage. We also have products that help reduce razor irritation/burn, ingrown hairs, hydrate, exfoliate, and stimulate collagen growth. Our eye creams are exceptional for dark circles, wrinkles, and puffiness, and our eyelash serum is award-winning and incredible for naturally enhancing longer, darker, fuller-looking eyelashes/eyebrows! Some products are even FDA-approved & eligible for Health Savings! 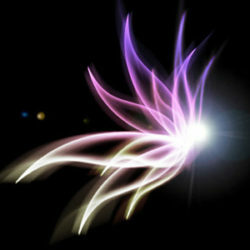 Follow me at www.facebook.com/4anewyou for more specifics & information on promotions! LIFE-CHANGING IMPACT An average of 20% of the proceeds I earn from product sales and business enrollments are dedicated to charity, and I’m proud to partner with a corporation who likewise dedicates millions/year to charitable partners!! I would love to hear from you if I can answer any questions about the products or business! What are your primary skin wishes or worries? Have you taken the FREE Skincare Quiz yet? No, I'd rather speak by phone. Please call me at the number I provided. I'd love to offer you a free personalized skincare consultation if you'll take a few seconds to answer a few questions about what might be the best fit for you. You can find the quiz athttps://4anewyou.myrandf.com/Pages/OurProducts/GetAdvice/SolutionsTool.